Most elderly people would like to grow old in their own homes. However, they still might hesitate to have in home senior care. They might view that as a loss of their independence or they might be wary of having strangers in their house. But there are several good reasons to hire somebody for providing in-home care. While you are talking about in-home caregiving with an elderly relative or friend, remember the following points. For many elderly people, having someone in their home who has been hired to provide care can be disconcerting. However, if your loved ones would like to stay in their home while as they aging, then it might become necessary to hire an in-home caregiver. As we age, it starts becoming harder for us to perform basic daily living tasks. An in-home caregiver will help complete those tasks. It can be hard for your elderly relative or friend to stay active when living alone. They might be afraid they will fall and not be able to call anyone for help. When there is an in-home caregiver in the house, they can help ensure that your older friend or relative is kept stay and this will enable them to stay active. An in-home caregiver can do the household tasks that are too hard for your loved one to do like household tasks, driving to a medical or social appointment and shopping. As elderly relatives and friends grow older, they can become forgetful. An in-home caregiver can make sure the door is locked and that the client doesn’t forget to turn the stove off. You can feel a lot more comfortable knowing someone is there in your loved one’s house helping to make sure they stay safe and secure. If can be a very challenge job if you are the primary caregiver for an elderly loved one. All caregivers need to have time off in order to refresh and regroup. 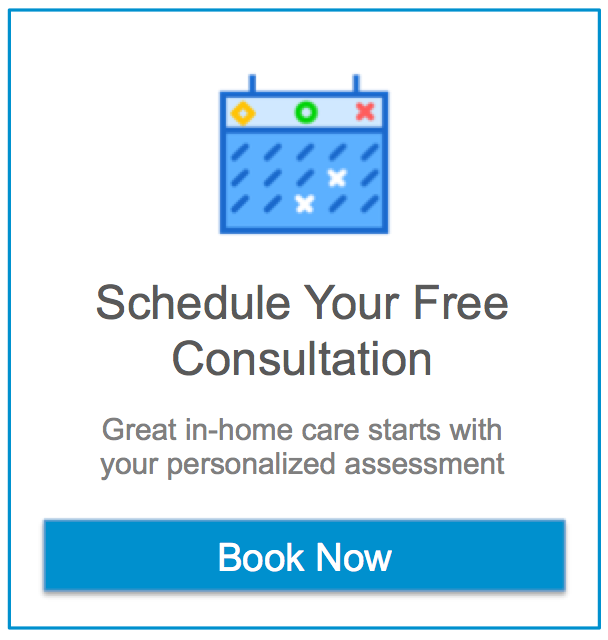 Having in-home caregivers scheduled will provide you with a well-deserved and much-needed break and also let you focus on your own needs as well. Although your elderly loved one might resist hiring in-home care initially, there is a good chance they will come to enjoy having somebody there with them. Call or contact us for more information.